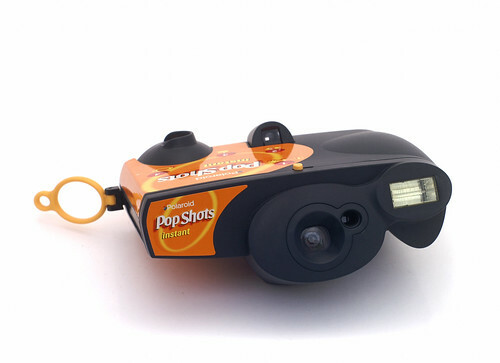 The Pop Shots was a disposable Polaroid camera; it came pre-loaded with 10 exposures of Captiva (500) film, and an envelope in which to post the used camera off for recycling. In some ways, this is what the Joycam should have been - its build quality and design is of a higher standard in certain respects. Uses Captiva/500 film: image area 2 7/8" x 2 1/8" (7.3 x 5.4 cm).